A spherical loxodrome (or rhumb line) is a curve that crosses all meridians of the geographical coordinate system under a constant angle other than π/2. It is therefore an isogonal trajectory of the meridians. All loxodromes on the sphere have the form of a double spiral that winds around the north and the south pole an infinite number of times. 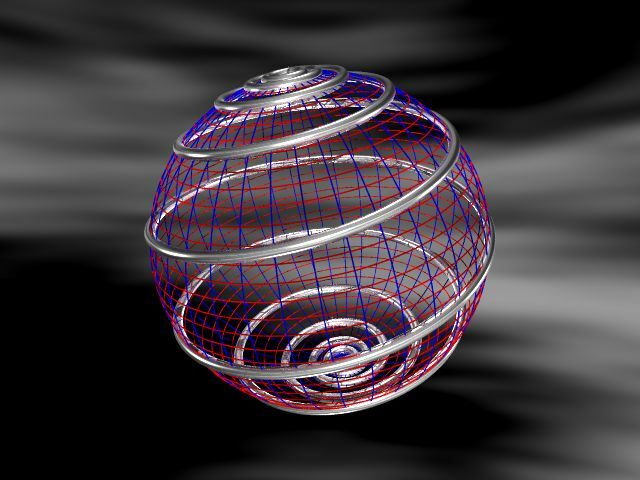 The image shows a single loxodrome on the sphere. Created by Katharina Kausel (2012) using POV-Ray - The Persistance of Vision Raytracer.